Are you looking for new office desks in your company? Desks are one of the most important pieces of furniture you can have in an office. Employees spend hours and hours every day sitting at their desks, so you want those desks to be easy to work at. And in the C-suite having a really nice solid wood desk can take a nondescript office to the next level. But before you run out and start buying desks, here are five questions to ask yourself. 1) Are The Desks Comfortable To Sit At? People are going to be spending quite a bit of time at these desks, so you want to make sure they’re a comfortable place to sit and work. Ask the employees what they like and dislike about their current desks. Maybe they want more surface space or dislike the shape of a corner desk. 2) How Long Will This Furniture Last? Office furniture is quite an investment, which means you want whatever you purchase to be high-quality. This is one of the best reasons to choose wood when you’re shopping for desks. You can expect solid wood furniture to last for years. Plus, solid wood isn’t going out of style. It’s going to look just as good in your office 5 or 10 years from now as it does today. 3) What Are We Using The Desks For? Before deciding on size or style of desk, make sure you take your employees’ take work styles into account. The type of work they’re doing helps determine what type of desk they need. Someone whose job requires a computer with three monitors is going to need more desk space than someone with a laptop computer. Talk with your employees and find out what kind of desk will help them work more efficiently. 4) Do They Fit Our Office Space? 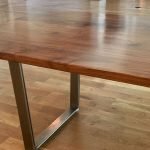 One of the great things about purchasing wood furniture from a place like Rustic+Modern is that we can customize the desks for you. You’ll get to choose the exact size that fits your office spaces. Plus you also have options in wood type, finish color, and overall furniture style so you can match the aesthetics of your office. 5) What Kind of Budget Do We Have? You might think that solid wood furniture is going to fall outside your budget. But it doesn’t have to. For example, choosing alder instead of something like walnut or hickory for your wood type will help keep prices lower. 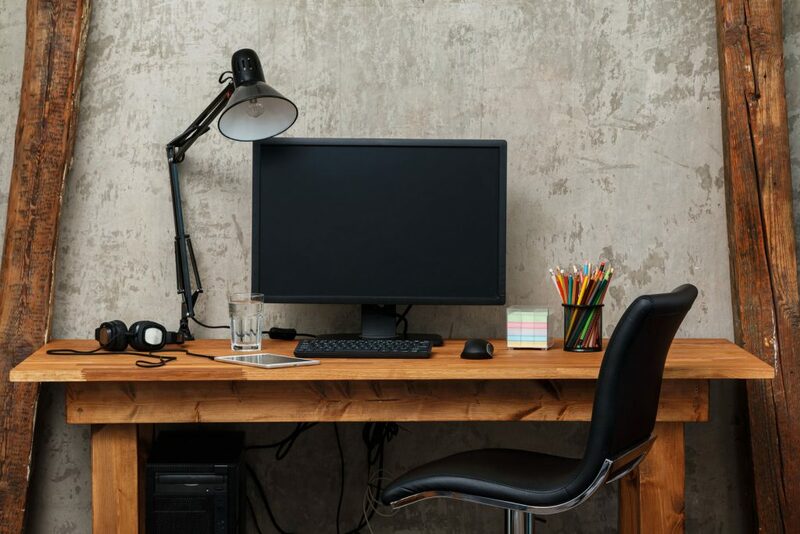 Also, keep in mind that sturdy, long-lasting furniture should be seen as an investment that will save your company money in the long-run because you won’t have to replace the desks anytime soon. Are you ready to invest in high-quality, long-lasting, and impressively stylish desks for your company offices? You can browse the products in our online shop or get in touch with us to learn more about the options we offer for office desks. We look forward to helping you create desks that are the perfect fit for your office. 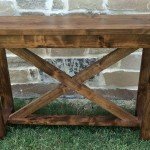 This entry was posted in Industrial Furniture and tagged Custom Furniture, desks, Local Business. Bookmark the permalink.